2. 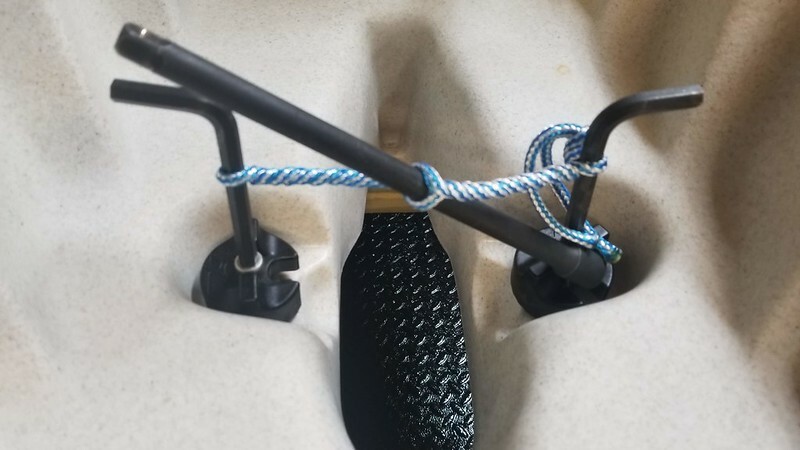 How-To reinforce or repair cracked cam columns on older Mirage Drive Hobies. 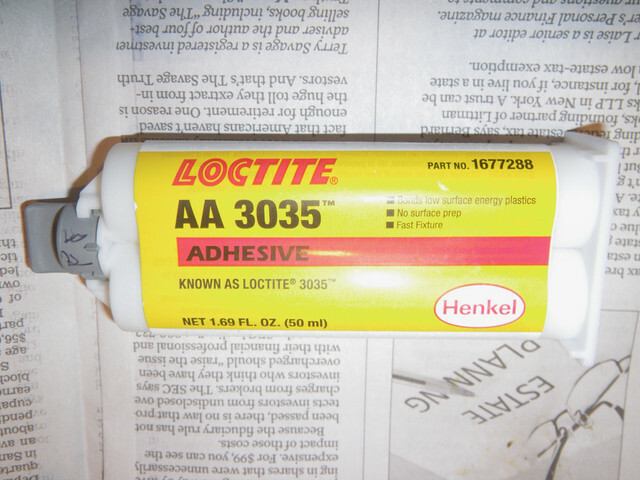 The product is Loctite 3035, an improved replacement for Loctite 3030. This has a 1:1 ratio, much easier to mix, and apparently a better formula. I had excellent results with the former so was excited to try out this product. As you can see, the discs deformed but I couldn't split them even driving the chisel all the way through! This stuff is good! Characteristics -- not runny, very fast work time (4 minutes), use outdoors or well ventilated area. The bad news is that it costs about $45 US and you may have to order it from an industrial supplier or Amazon. Now for the How-To reinforce or repair cam columns. All 2008 and older Hobie Mirage boats used a cam lock for the Drive and there was a lot of stress placed on the cam columns with the arrival of Turbofins in 2006. Many who own or buy older Hobies used are unaware of this problem until there is a break in the columns, since it is not easily visible. Yakaholic proposed using PVC pipe clamshelled around the columns, so this what we're doing this time. Here's a small crack developing that we are repairing (will actually do both sides). Cut the PVC to size and split. 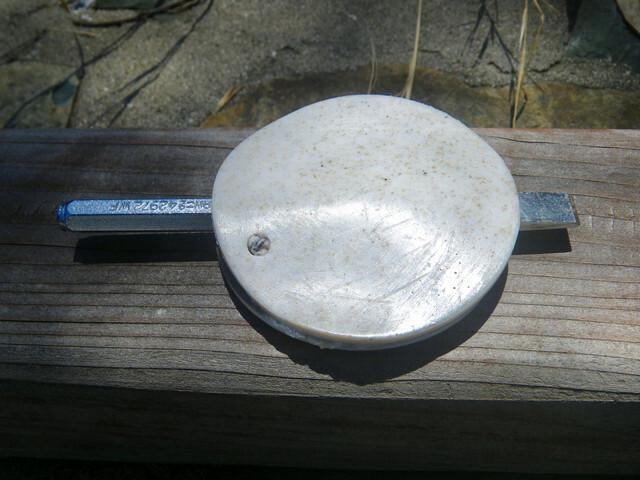 Make sure each halve fits, marking inner and outer. 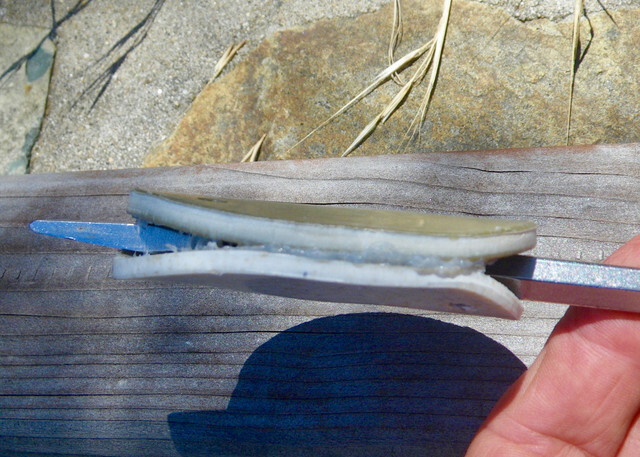 Hinge the PVC on one side with tape outer and inner sides to form a clam shell. Practice installing it until you can reliably install it by feel. If you don't hinge them you will find they will overlap rather than mate up. 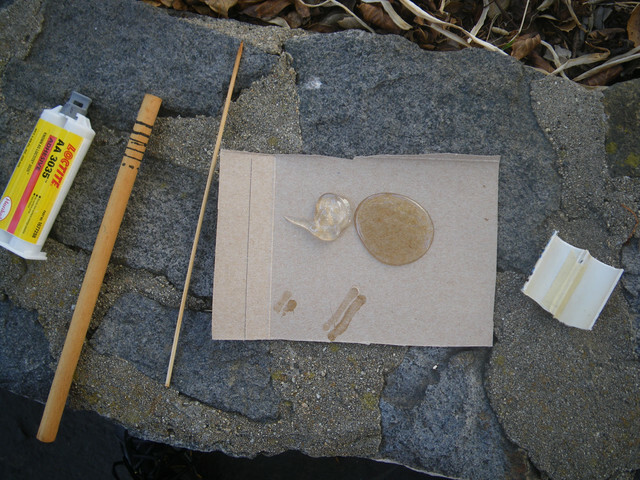 Dispense glue, keeping separate until you begin mixing. Mix enough material to fill one clamshell only (this stuff goes off fast!). Blend well, load clam shell and install. Hold in place for a few seconds. Be sure to have ample glue on the bottom portion -- Ideally some would squeeze out the bottom (I didn't use enough to do this) because this is the most stressed area. I highly recommend using latex gloves and double gloving each hand. You well likely get some glue on your gloves. When you mix your second batch, simply strip off the sticky outer gloves and you're ready to go again. Here is the finished product. It will hopefully stabilize the cam columns for many years. Thanks Roadrunner.......your work is one of the major pluses that makes this site so informative and good for all Hobie owners. Would you suggest doing this as a preventative measure regardless of whether there is any sign of cracking or not? Thanks again. You are an amazing resource for repair issues! If you are using Turbofins, then this is a worthwhile insurance policy IMO. If you use STs or standard fins and your columns look good, then there is probably no need. Doc and Jim, your comments are appreciated. Thanks to Hobie for supporting a platform for us to share ideas and tips! Roadrunner, thanks for pointing me in this direction on my other thread about joining the world of Kayaking. 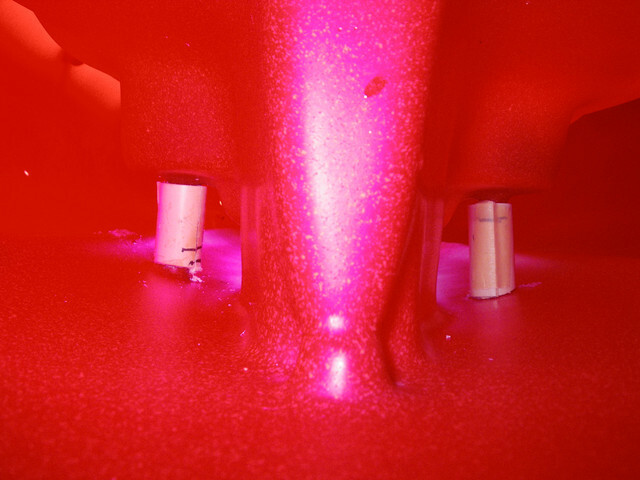 Unforuntantly I do have cracked cam columns as shown in the images below. So here I go again on a few questions. 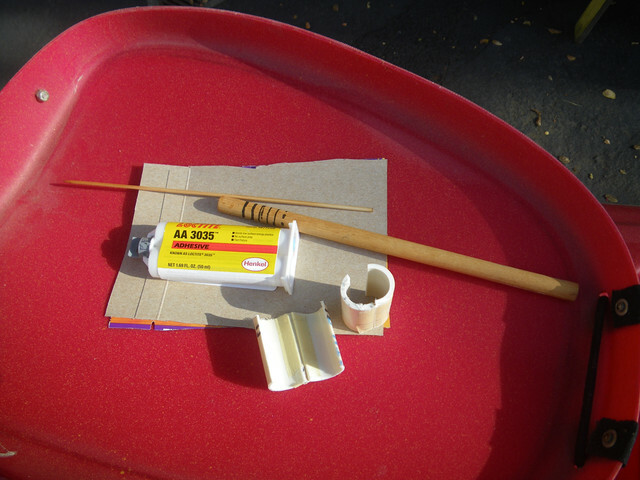 When making the 3/4" PVC clamshell. I know schedule 40, but not familiar with 150 class? I also know there's the grey electrical type. Any latest recommendations? 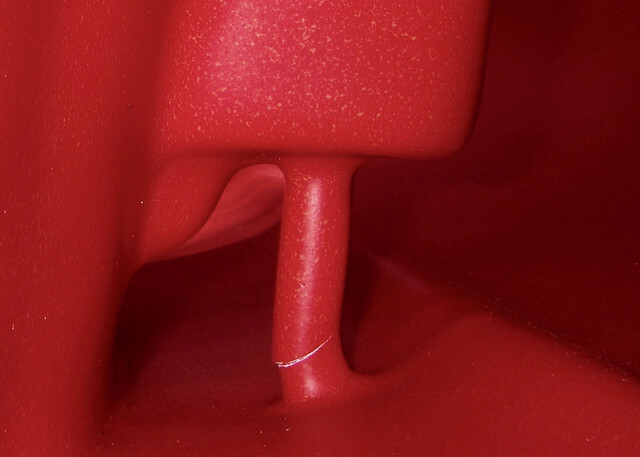 I would think I would want the best material that the loctite 3035 adheres to. Seems to me you want to try to cut/carve/shape etc the clamshell to mate with the upper and lower portion of the cam column as tight and uniform as possible correct? Kind of like wood joints, you want them nice and tight but not over tight. Do I need to unscrew the cam column bolt for the MD or do anything at all to it or just leave it be? 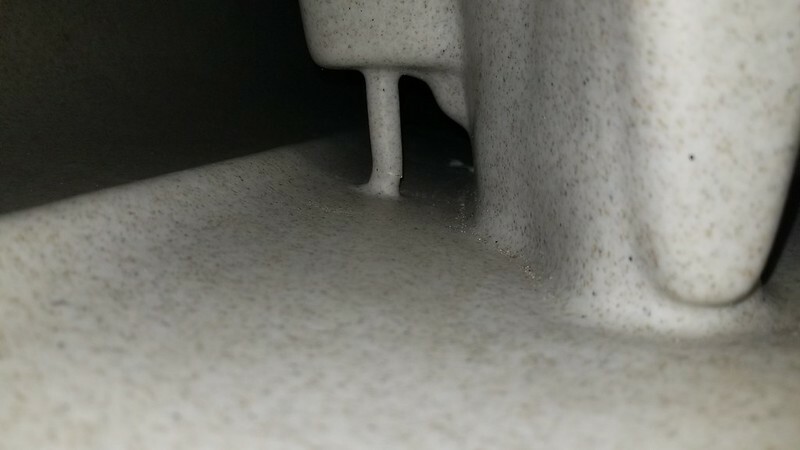 This repair won't hinder the future replacement of any cam column hardware correct? 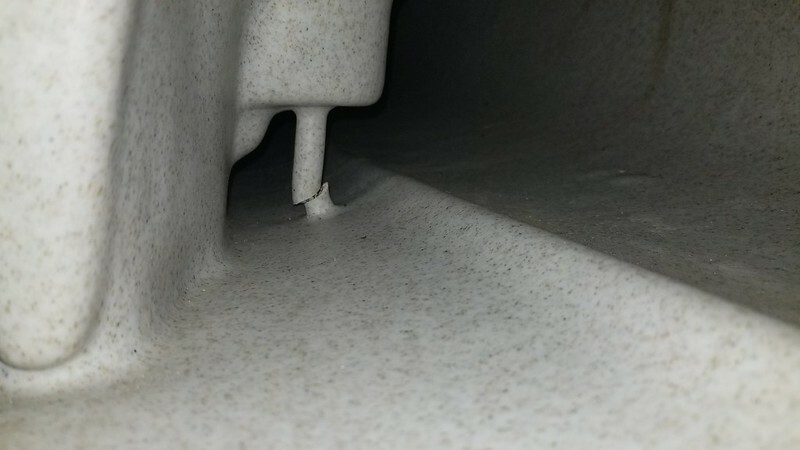 Should I clean and prep the surround surfaces first? Lightly scuff/clean with Isopropyl alcohol? 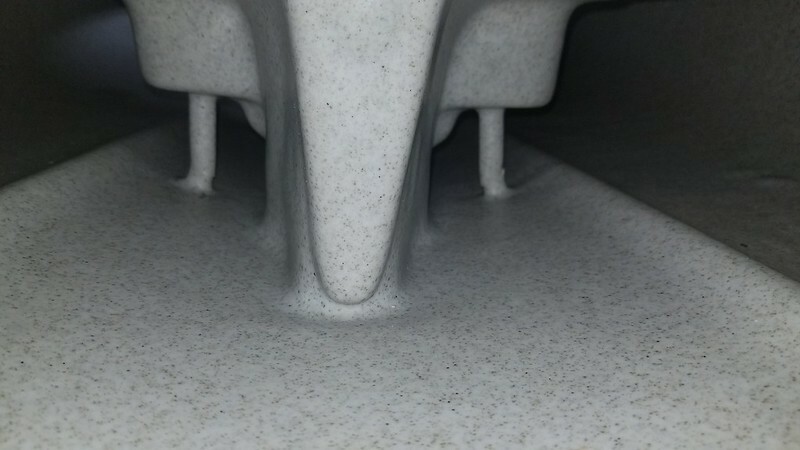 PVC is not for strength, but just to support the adhesive as it forms around the cam columns, keep things tidy and speed the process (very short working time for this product). 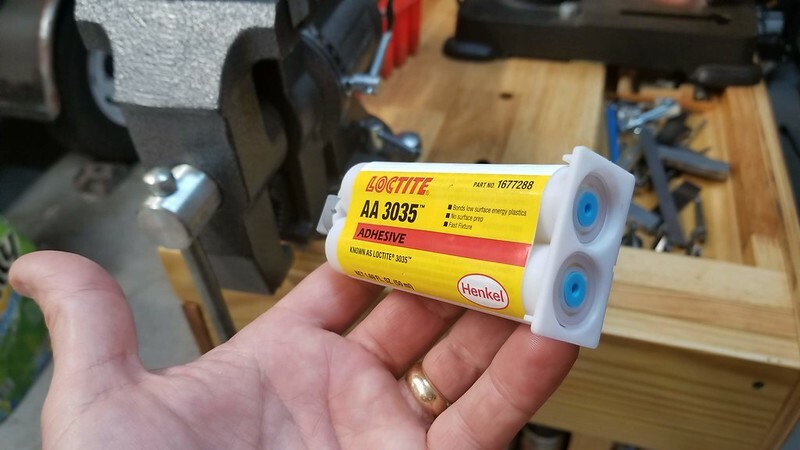 Loctite 3035 is formulated for PE and that's what we care about. Coincidentally, it also bonds well to other things like PVC. Pick any size that fits around the cam columns efficiently. The smaller the "class" #, the larger the ID = more space to fit around the cam columns (this does not include shed 40 and 80). Thus, Class 160 has more interior space than Class 315 or sked. 40, for instance, so you can probably get away with 3/4" rather 1". This just gives you a dimension to play with besides OD (which we don't really care about). You may be limited by whatever they carry at your hardware store. You don't want to have to buy a 20' piece for only about 4" of material! No sanding, just clean and dry. Alcohol is a good cleaner. Don't worry about the fit. The 3035 will fill in all the gaps. If you can realign the port column, good but not necessary -- the adhesive will stabilize it. The other side looks fairly normal -- not displaced. Thank you sir, I have one tube on order. Okay, no instructions...how in the heck do I use the tube plungers? From Roadrunners information above, he used a "dowel-plunger" that the depth into the cylinder was marked, so you get the exact amount of both parts dispensed for mixing. One little additional tip. The cap is a 90 degree twist. It comes subtly marked front and back. Don't put it on backwards or you may never get it open again once the adhesive sets! Good tip, but seriously, the package comes with a way to dispense the product? So I need to find or buy an appropriate sized down, graduate mark it and simply twist off the cap, then push in on one tube with dowel for a certain amount, then push in the other tube with dowel same amount? There's no hidden pull out dual plunger or something? WOW! 1. Mark your stick in 1/2" increments. 2. Twist the cap off. 3. Plunge one barrel of your container about to the 1" or 1.5"mark (depends on the volume you need). 4. Plunge the other barrel the same distance. Keep the two fluids separate for now. When you start mixing, the 4 minute timer starts. 5. Wipe the tip on your cardboard and replace the cap on the 3035 (see wipe marks). Let me re-emphasize, rehearse the insertion of your clamshell until you can do it without hanging up on something or losing your grip. This material does not allow for re-dos (once mixed). Okay, I was about to dive in today and glue this all up but I'm more patient these days. First want to share how I have stress-relaxed my heavily broken stbd cam column into more vertical stock position and how I will hold it in place while this sets up. I used two allen wrenches in the column bolts and a loop of rope twisted with a socket extension. Just to the right about of tension to pull the lower end of the cam bolt more outboard, thus straightening the column. See pic below. But, now that I have "rehearsed" this procedure, I have to ask, what's the method behind the madness of smearing epoxy onto the clam shell PVC? Do you put more at the top end while holding horizontal and then swiftly and quickly put it around the column and hold in place? More at the top because gravity will pull most downward? 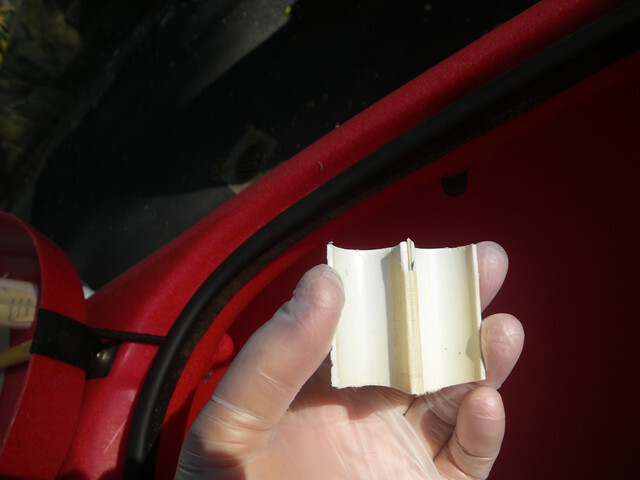 What if I devised a way to zip tie the PVC and then use a stick and apply more uncured adhesive at the top and allow it to make contact with any uncured squeeze-out? Notice how they are more straight?